Includes two cleansings, exfoliating; skin analysis; aromatherapy-infused steam; extractions, if desired; hand and foot massage; face, neck and shoulder massage; mask and skin protection. All Specialty Facials start with the basics of the European Facial plus enzyme and serum treatment. Also includes extended massage and a specialty mask. Ayurvedic facials use all natural skin care products specific for your Dosha. Our chemical peels are superficial meaning they are low to mid-depth aggressive exfoliation. After receiving one of these peels your skin might feel tight and peel or flake, revealing healthy rejuvenated skin your skin will feel balanced and nourished with less signs of aging These peels will not leave you looking beat up or abraded. Our chemicals peels are a great option for the working professional who can't afford much down time. 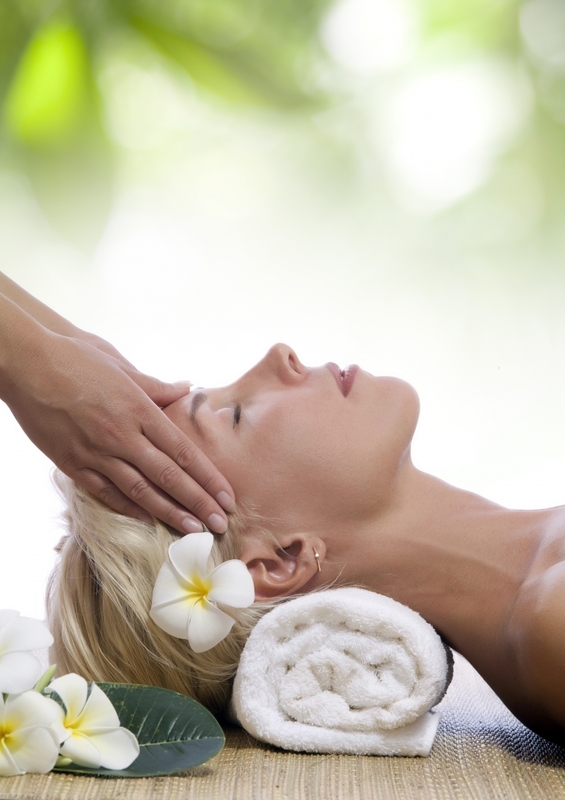 Facials relax, pamper, and are a good investment in your health. Professional facial treatments can be relaxing and rejuvenating, a much needed prescription for our hectic daily and stress filled lives, especially since stress plays a role in many skin care and other physical disorders. During your first appointment at our spa your skin will be analyzed by a trained and California State licensed professional. Studies show that 60% of people define their skin type and home care incorrectly. A licensed esthetician is trained in skin analysis to provide accurate information, create an appropriate treatment plan and make home care recommendations to enable you to meet your skin care goals. Healthy, unbroken skin is the first defense against disease. Professional care for the face and hands - the areas most exposed to the environment - is a critical step to good health. Professional treatments of these areas provide a barrier to illness, a purposeful immunity, and radiantly glowing skin. Deep cleansing of the skin by a professional rids the skin of dirt, debris and environmental factors to allow your skin to maintain a healthy balance and enhance its ability to fight off disease and aging. It also enables the skin to better utilize the products applied for nourishment, protection and exfoliation. Deeper penetration of products with professional equipment, techniques and products work to allow beneficial ingredients to penetrate deeper into the skin for greater results. Professional facial massage dilates the vascular system, encouraging it to bring nutrients and moisture to the deeper layers of the skin and to remove waste and toxins produced during normal cell metabolism. This stimulation also brings a healthy glow to the skin that only a professional facial massage can produce. At Envision Personalized Health only professional and natural skin care products are used. The FDA allows professional products to have a more pure and higher percentage of performance ingredients than over the counter products. Over the counter products need to be benign enough for use by the “masses" making them less than ideally suited for individual your skin needs. Professional products are recommended by licensed professionals, not by a sales clerk who often are untrained. In the long run, you will save money by not buying products that are not effective for your skin type. Professional extractions are performed when needed should only be done by a professional. The bacteria found in acne and breakouts can be spread, and scarring caused, by picking. A professional is trained to perform this service when needed in the least invasive, safe, effective manner. The skin is prepped and extractions are done with optimal results and minimal discomfort. Extractions are optional in your treatment, and your Esthetician will discuss with you alternative options if needed. Having beautiful, healthy skin makes you feel great about yourself. Contact Envision Personalized Health to schedule an appointment or for more information.